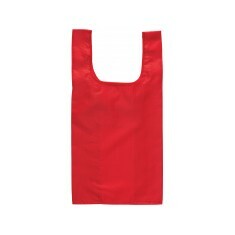 If you’re looking to go eco-friendly and but want something that you can simply put away when not in use, our branded Foldable Shopping Bags are ideal. 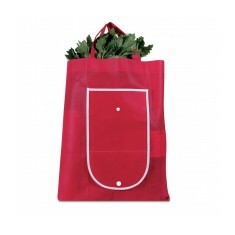 They work as a full size shopping bag when unfolded and can be tucked away when not in use for easy storage. Since the 5p bag charge, custom printed foldable shopping bags have become increasingly popular for consumers and ensure your brand will be kept on display at every weekly trip. 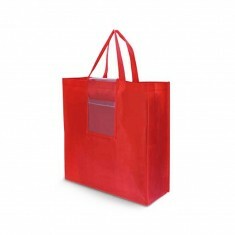 Personalised foldable shopping bags are also great for exhibitions and events because they are both eco conscious and compact so as not to take up too much space for when you're setting up your event. 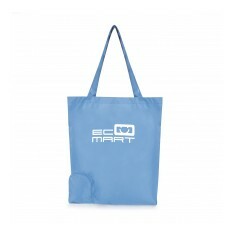 Eco conscious, compact and still colourful, what more could you want from a promotional shopping bag? 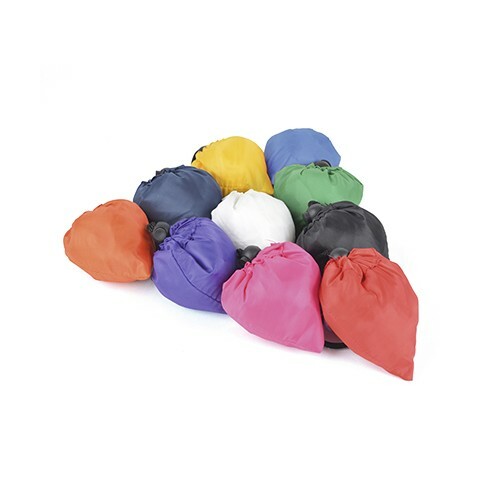 Our personalised Rainbow Foldable Shopping Bag is available in a huge selection of colours and the drawstring cord helps to keep it all compactly stored. 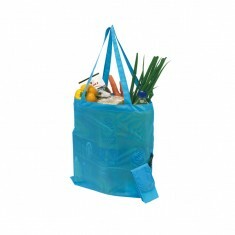 This product is great for taking with you on your weekly shop and can be easily popped into a draw when not in use. 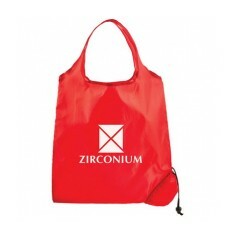 Printed to the front of the bag on an excellent branding area so your brand is on show whenever this handy bag is in use. 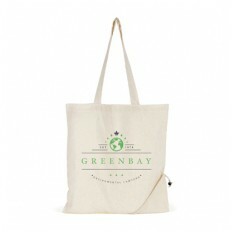 Branded foldable shopping bags allow you to be both environmentally conscious and money savvy at the same time. Plus, since they fold down into such compact and easily storable dimensions - they will take up hardly any room in the boot or cupboard. Foldable shopping bags are built to last, meaning the few extra pennies you spend now will more than pay off in the future. 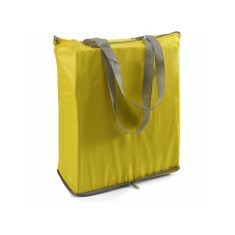 Check out the quality of these bags for yourself by simply clicking the "Request sample" button and selecting the colour you want. 10 colour choices. Neat pocket to pack into. Pull string cord fastening. Large branding area. Folds away into pocket. 7 colour choices. Drawstring cord to seal when folded. Attached plastic hook. 190T polyester. 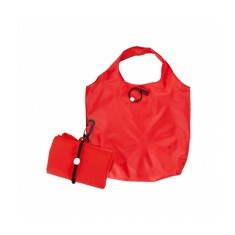 Can be branded to bag & pouch. Long handles. Small plastic clip. 8 colour choices. Personalised to 1 side of bag. Loop to keep folded. 190T polyester. Carabiner attachment. 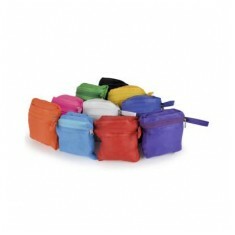 8 colour choices. Zipped when folded away. 210D polyester. UK stocked. Customised to front of bag. Belt clip attachment. Can be branded to multiple positions. 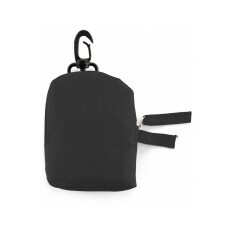 Folds into small pouch. Folds into pouch. 190T polyester. Personalised full or spot colour. Convenient size. Popper stud closure. 70gsm. Non-woven polypropylene. Lightweight. White trim. Foldable design. Small inner pocket. Large branding area. Sizeable capacity. Aluminium foil interior. Zipped. Grey trim. Polyester material. Printed to 1 or both sides. 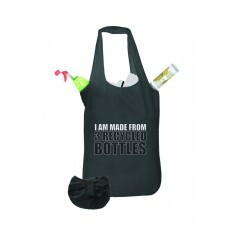 Made from 3 recycled bottles. Folds into pouch. Lightweight. Pre printed to 1 side. 10 colour choices. Convenient pouch. Custom printed to pouch. Zip closure. 100% cotton. Coloured options available. 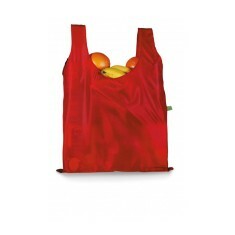 Convenient integrated pouch.